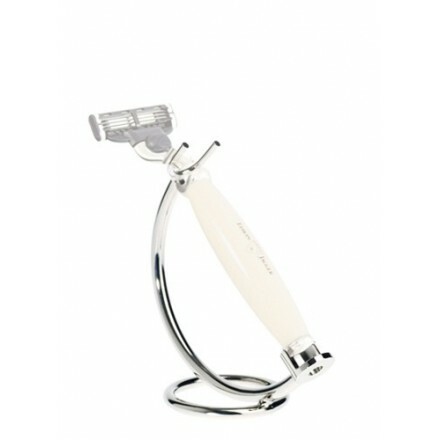 Chrome plated razor stand. stands 10cm tall and approx 10 cm in length. Show off your razor and keep it in one place with this highly crafted stand made by Edwin Jagger in Sheffiled the home of all things steel! 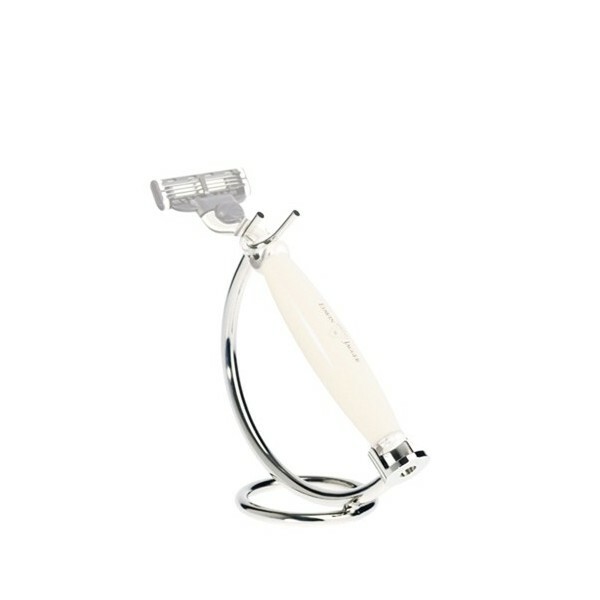 Chrome plated razor stand, fits our razors amd compliments our shaving brush and shaving mirror. Sizes displayed are approximate. Comes boxed ideal gift to compliment our razors.